For many, the adverts and trailers before a film only add to the experience of going to the cinema. However, there’s been an altogether different audience reaction towards the recently reported introduction of cinema-style advertising at performances at 12 French theatres. Of The Stage readers quizzed in a recent poll, 82% gave a big thumb’s down to any similar scheme happening in UK theatres. 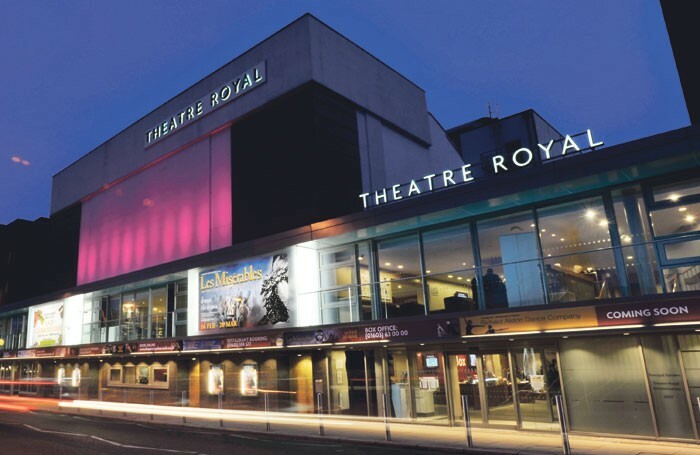 ODW, the advertising agency behind the project, has described it as a “win-win” situation for theatres and advertisers, although omitted to mention the audience. The concept of screen advertising at the theatre is not a new one. At the Theatre Royal in Norwich, I remember going as a child and seeing advert slides projected onto its safety curtain at the interval. These were mostly for local businesses and not particularly intrusive; just simply projected without soundtrack and no dimming of lights. In Brazil, the use of screen advertising is an accepted necessary part of the theatre experience where a large screen is flown in before the performance, and adverts shown for the companies who have sponsored the production; Brazil’s arts funding system is reliant upon such support. Nonetheless, the idea of watching adverts in the theatre still feels unappealing and problematic when contrasted with the overall experience afforded at the cinema. At the theatre, the live experience awaits: you take your seat and perhaps have a chat with your friend or neighbouring ticket holder and then again at the interval and the end. In every respect, the theatregoing experience is an infinitely more social and collaborative one than at the cinema. Would introducing screen advertising threaten this? When a film starts, it plays through uninterrupted holding its audience’s attention. In theatre, unless a show is performed without interval, there comes a break. If the work is intense, it could easily become disrupted by the addition of 20 minutes of screen adverting, although arguably the same question might be asked when audiences are focused on buying their half-time ice cream or drink from the bar before the start of act two. However, the theatre has still contained its audience in the environment and reality of the show. But if a large screen flies in and starts showing the audience an advert, for example, promoting a holiday destination, we are most likely to be completely taken away from the world of the play entirely. It’s also our own choice at the interval if we break the reality created and check our phone and email messages – it’s different altogether if, without choice, this is thrust upon us. One of the questions to be asked is what adverts will get shown at theatres? If, like cinemas, for the most cost-effective distribution, they will be mostly generic being shown at multiple theatres, meaning the adverts could feel entirely unsuitable to the work itself. ODW may describe the scenario as a win for theatres and advertisers, but from the producer’s perspective it also raises another big question: if you have a major star playing in your production providing a theatre with nightly full houses, then they could be used to represent a higher yield for the advertiser selling space at that theatre. To date, there has been no reference in the reporting of if the actor or producer will be compensated as a result. Most likely, the advertising revenue return will go to the advertiser and theatre who have made the deal together, even though the success of this scheme is in the quality of work produced and stars attached, resulting in the volumes of audience coming along to see it. Additionally, what then happens if a particular advert shown at the interval is not something that the actor or producer would wish to endorse or has an issue with; for example; the star actor is a committed vegetarian but the advert shown is one for a steakhouse? There is the risk that the advert played at a live performance where that artist is appearing gets perceived to mean they themselves in some way endorse it. This is a marked difference to when an advert is featured in the theatre’s published programme. Instead, this advert shown on a big screen is effectively included as part of the overall performance that an audience is forced to sit and watch before the performance starts. Even at the cinema, the listings tell you the trailer start time and then that of the feature; meaning if you wish you can skip them to arrive only for the main feature itself. But in the proposal for these French theatres, it feels like the audience is more likely being held captive. This idea is one that could easily get warmly embraced by any government that would love to further cut its arts funding and view it as a perfect revenue opportunity and entrepreneurial solution. It’s therefore vital that if there is ever consideration of any such scheme for the UK, certain industry sectors do not become dazzled by the advertisers’ potential pound signs. Because if such a scheme were to happen across our theatres without proper care and long-term consideration, then suddenly a night out at the theatre could become exploited as one lucrative and giant advertising opportunity. That would leave an enormous risk in diminishing the audience’s overall theatre experience who, crucially, must be respected by everyone as being the most important people within all of this.